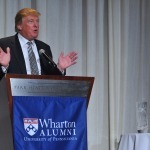 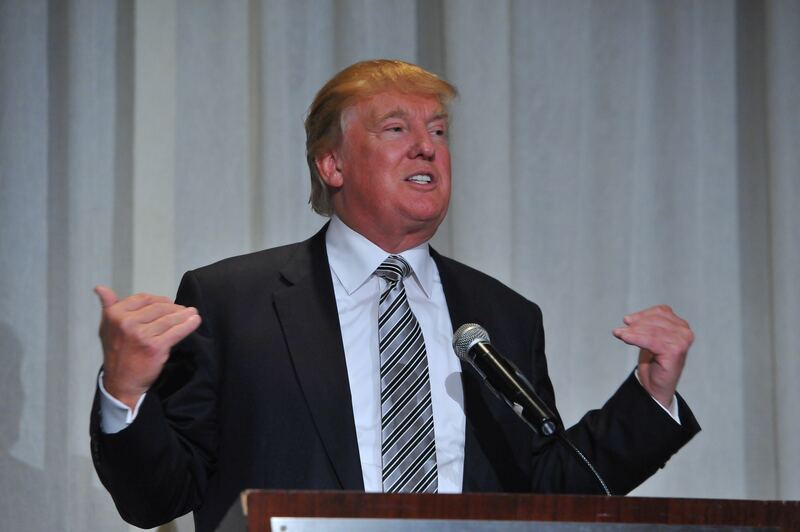 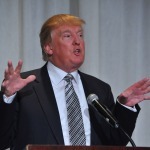 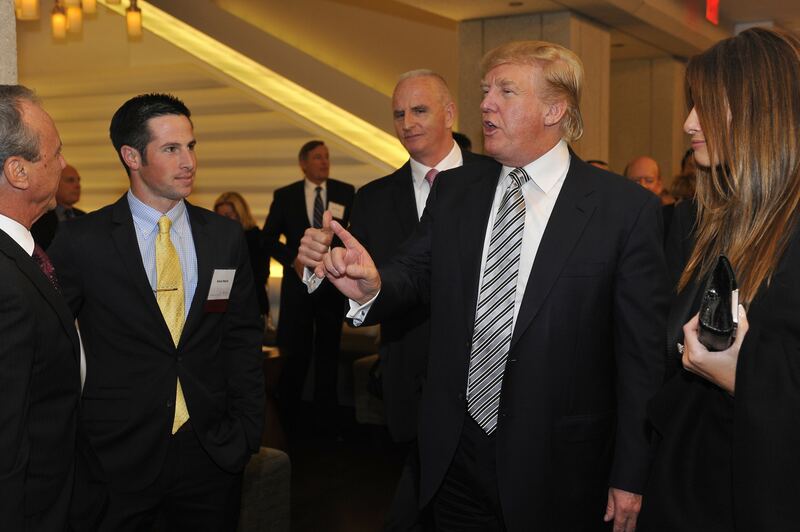 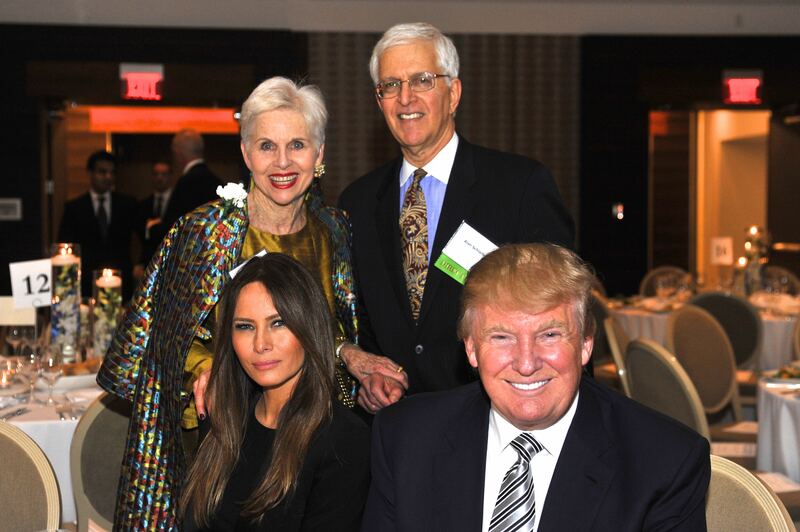 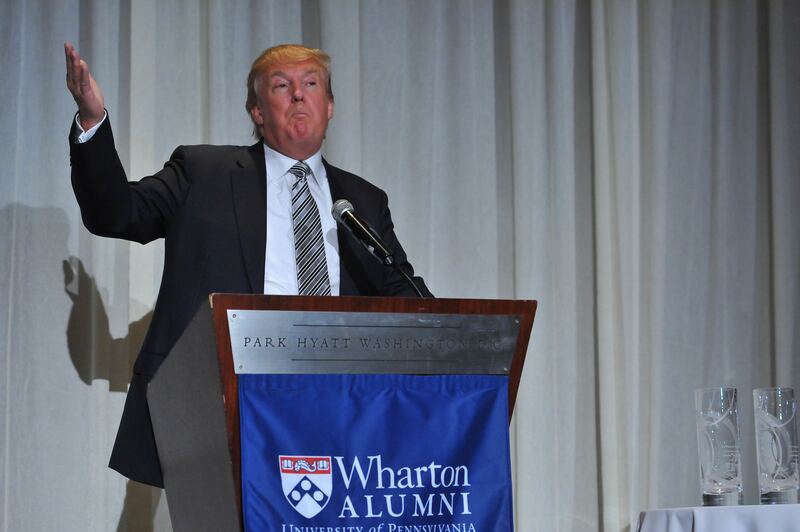 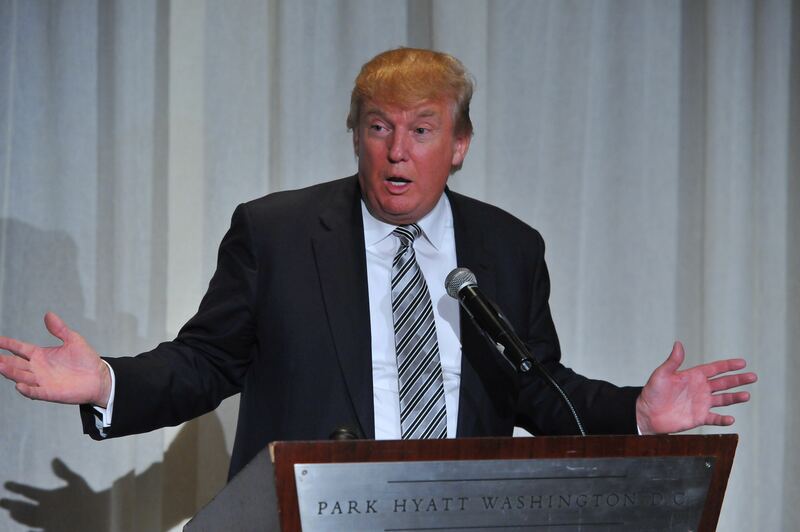 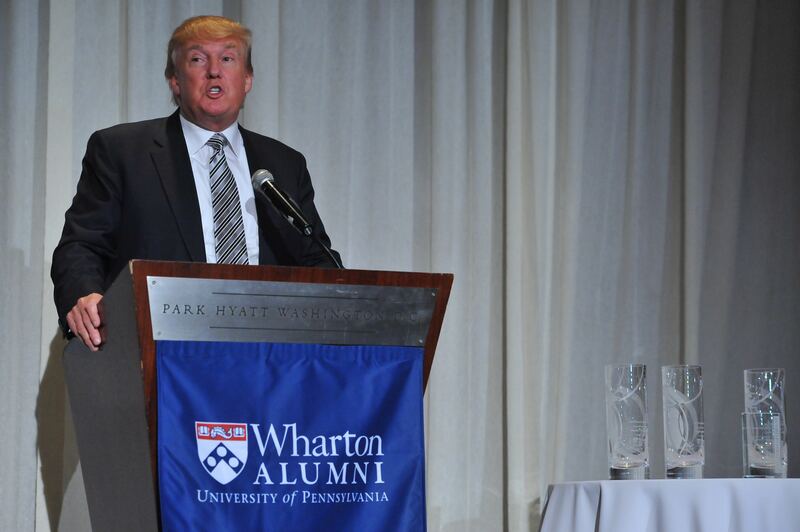 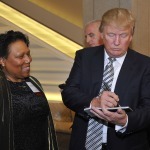 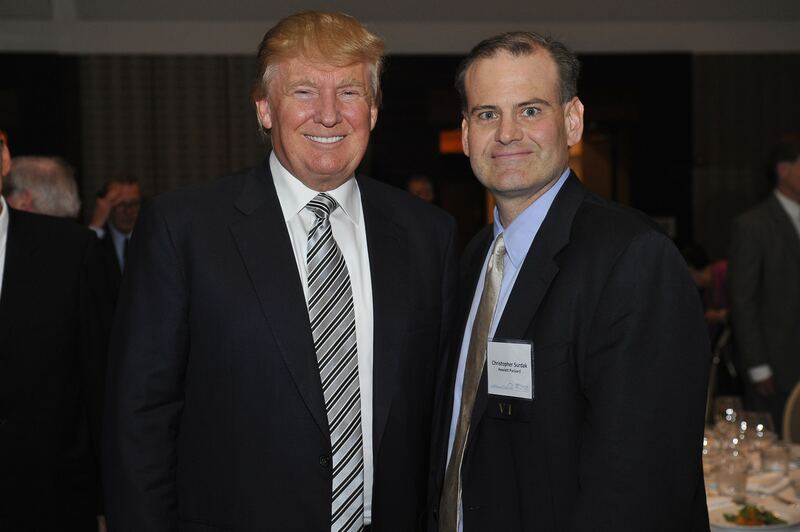 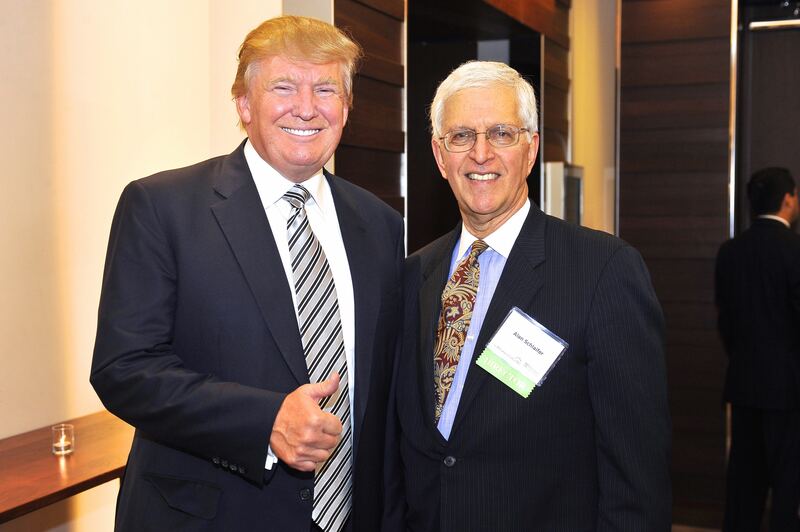 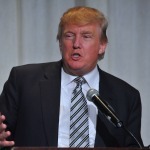 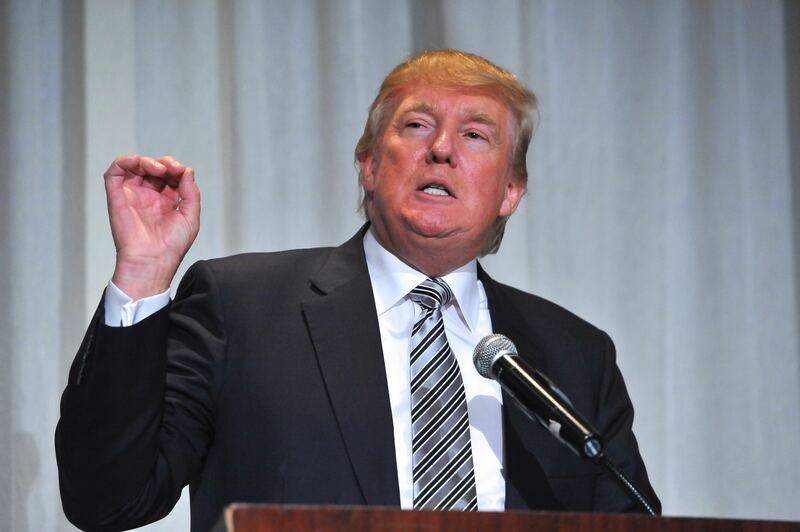 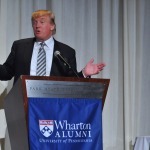 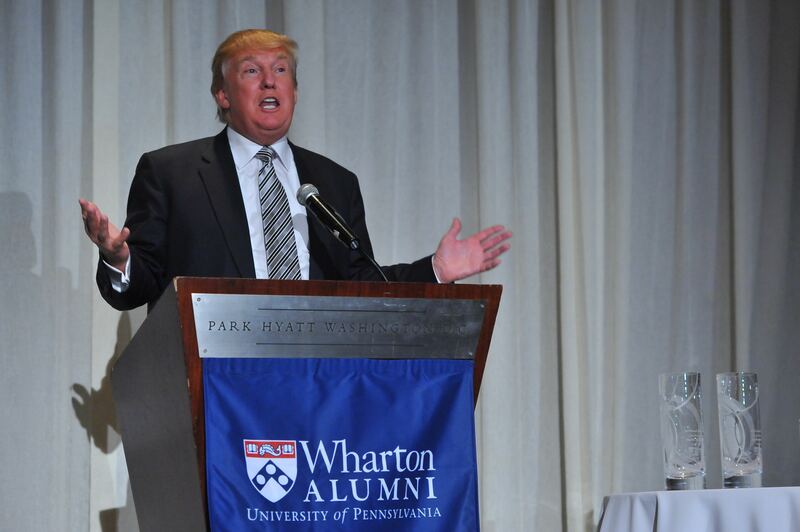 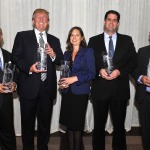 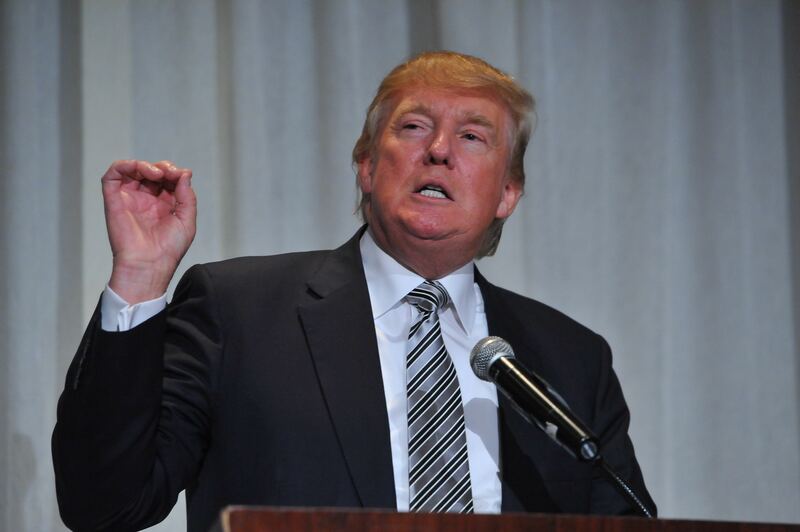 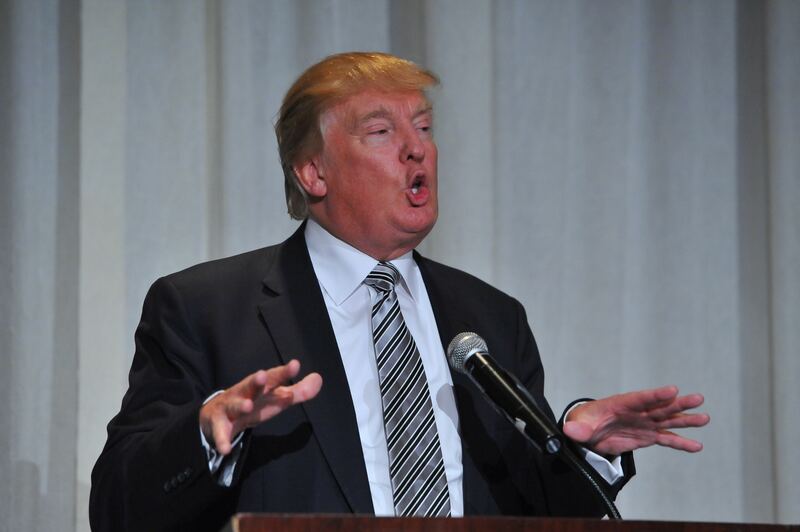 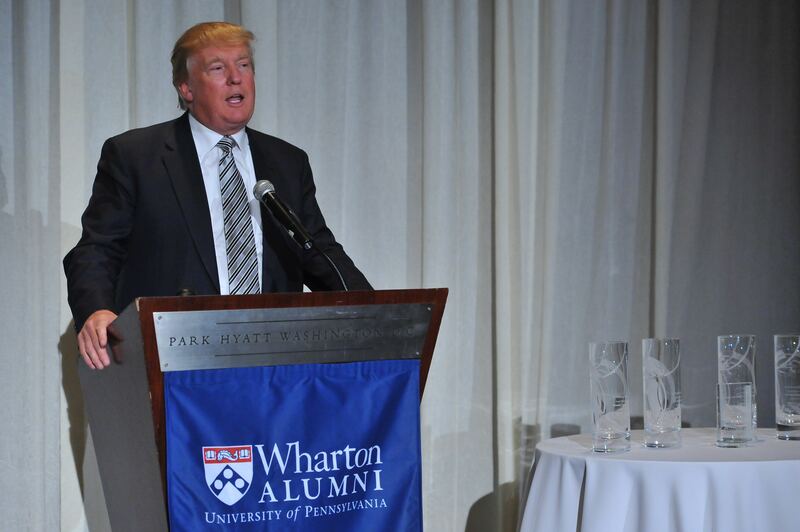 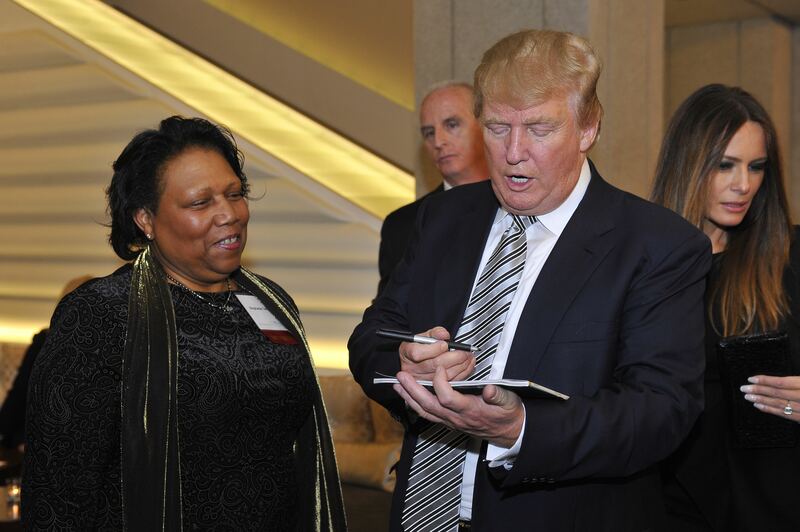 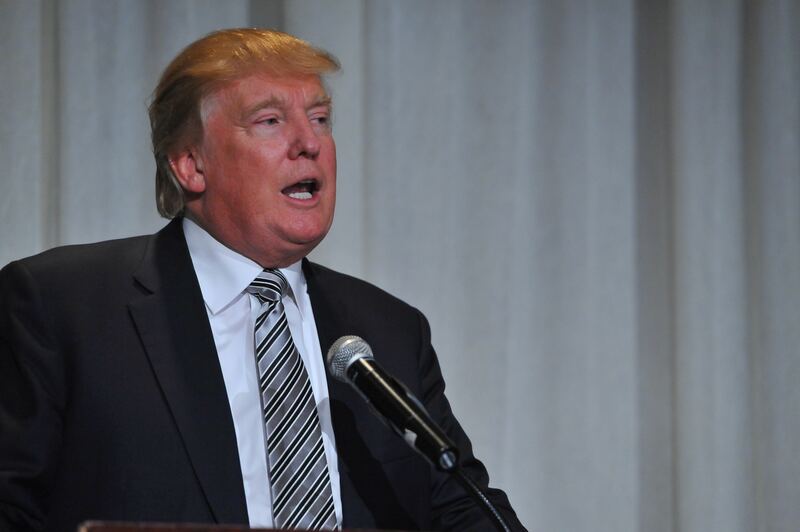 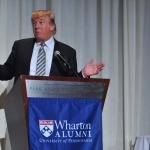 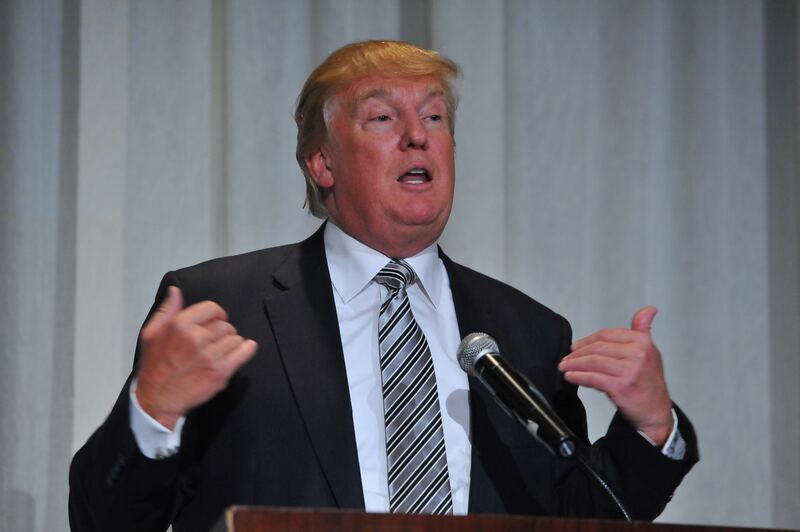 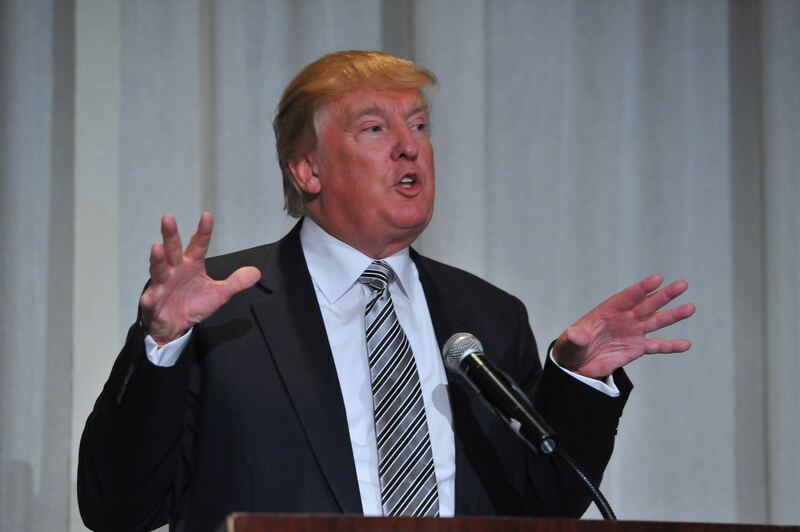 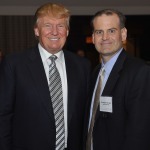 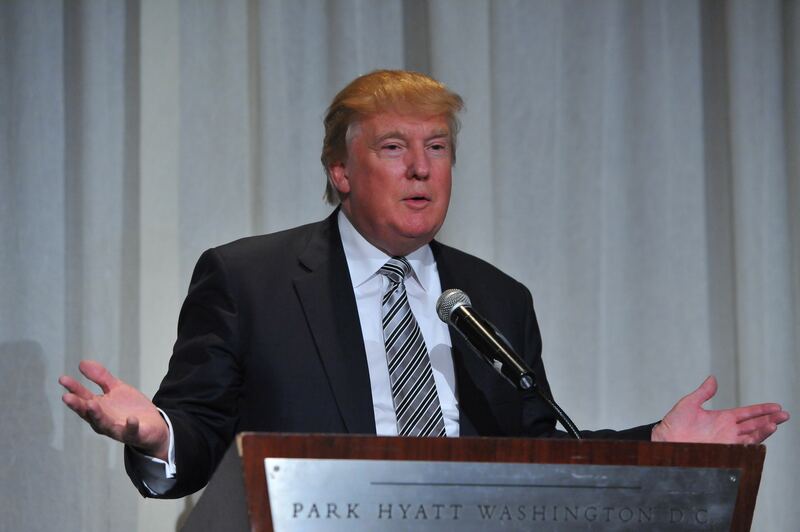 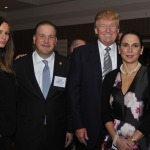 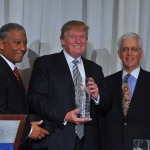 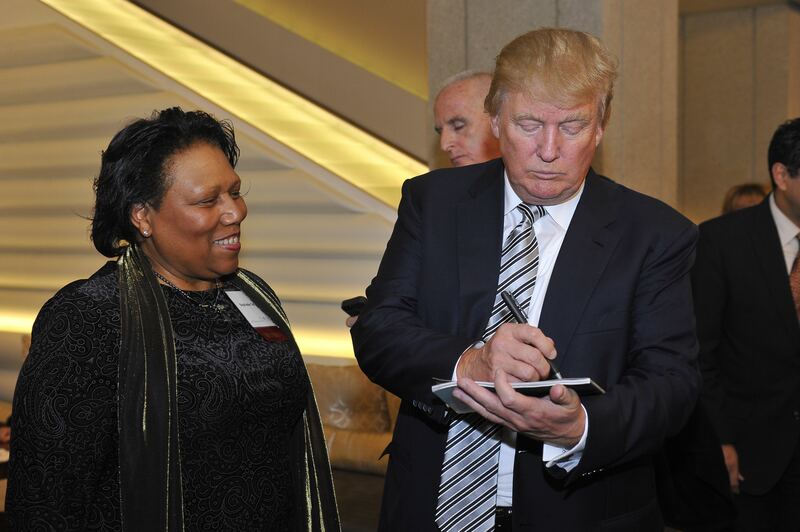 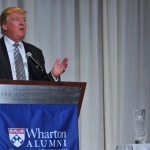 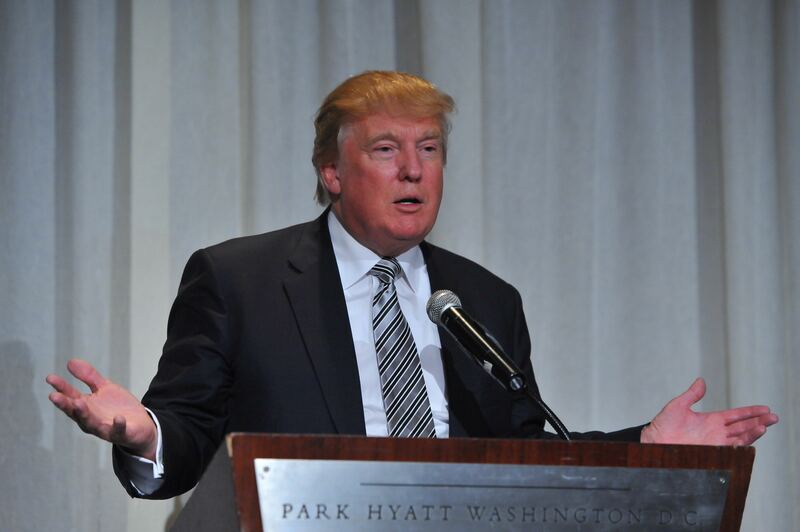 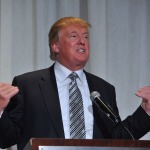 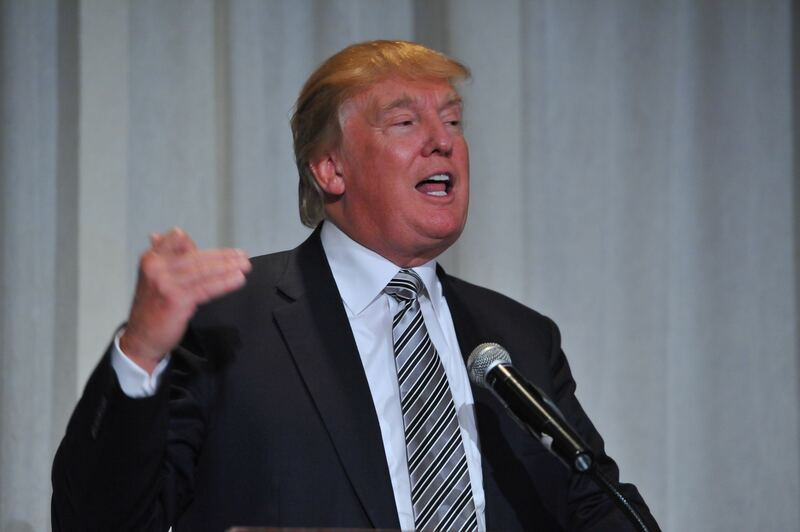 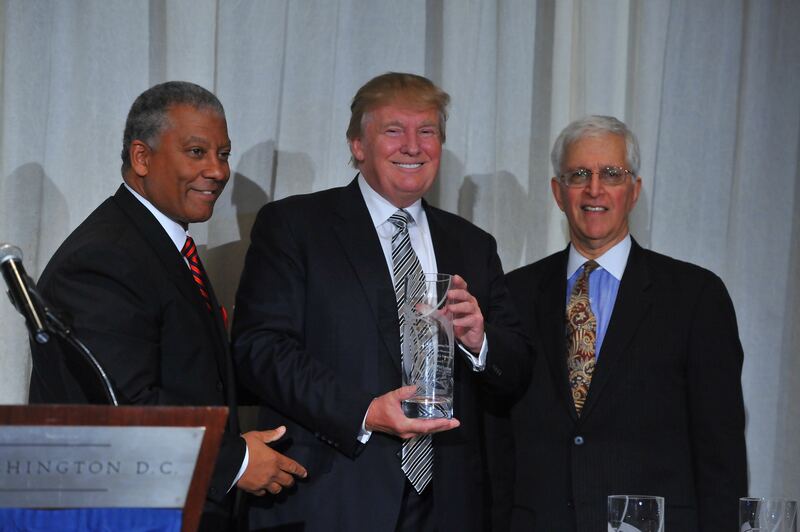 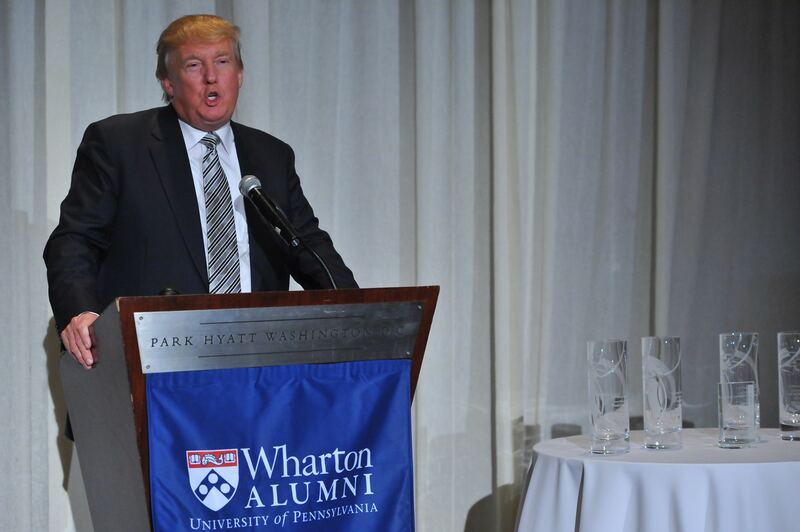 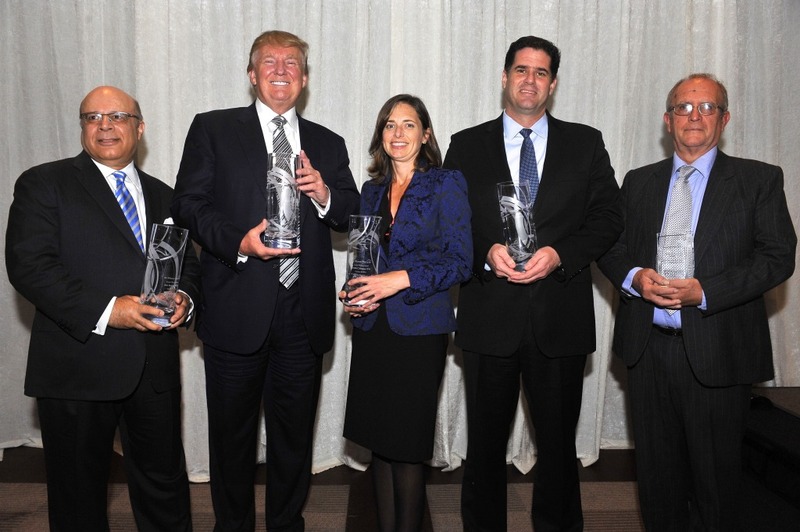 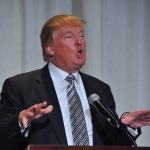 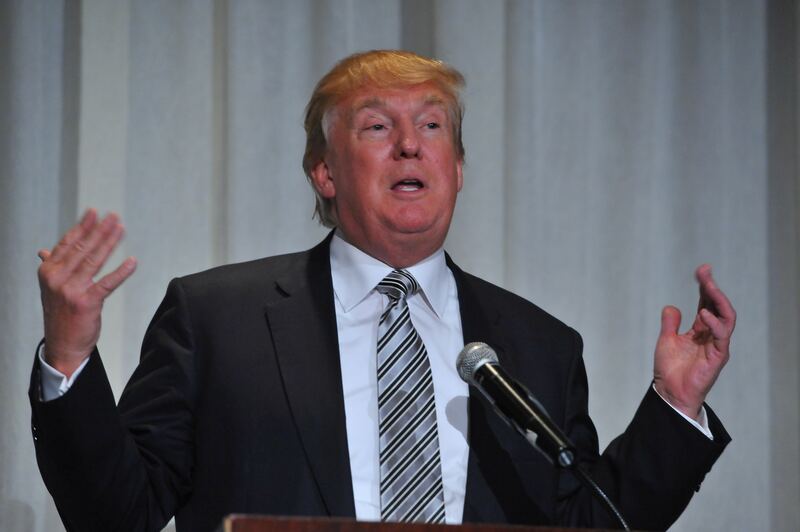 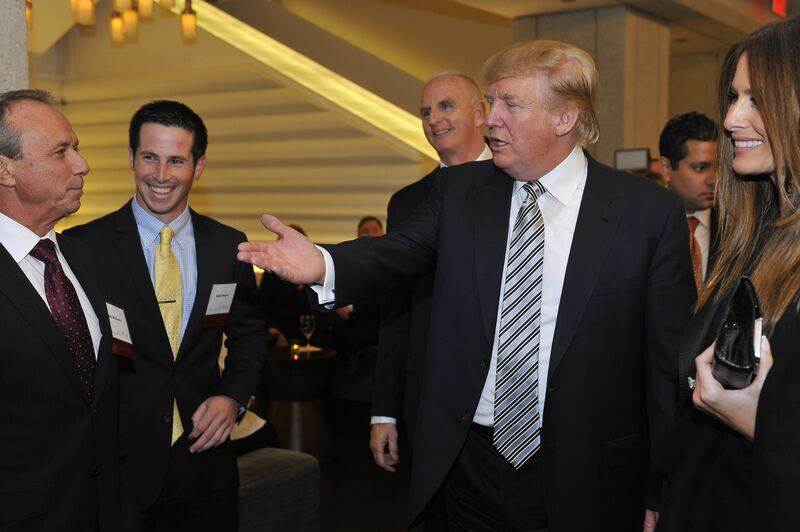 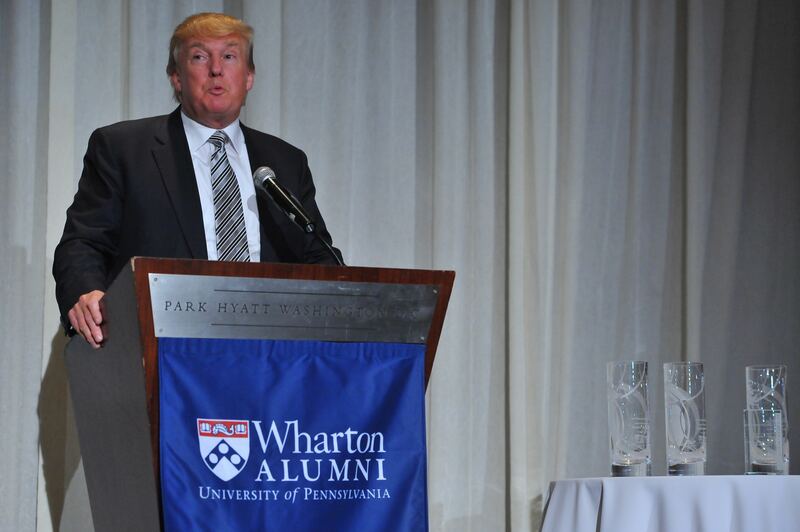 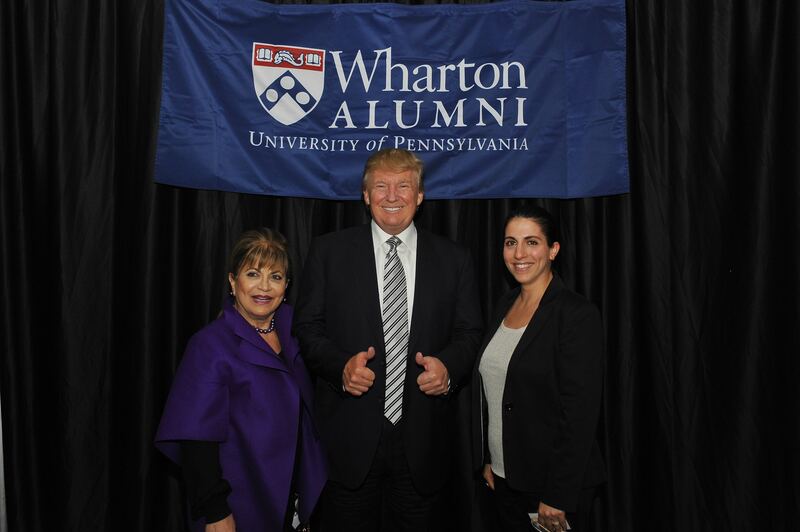 During the 44th Annual Joseph Wharton Awards Dinner at the Park Hyatt honoring leading alums, awardee Donald Trump found himself in the spotlight ― a position he happily inhabits — with his audience in stitches at his acceptance speech. 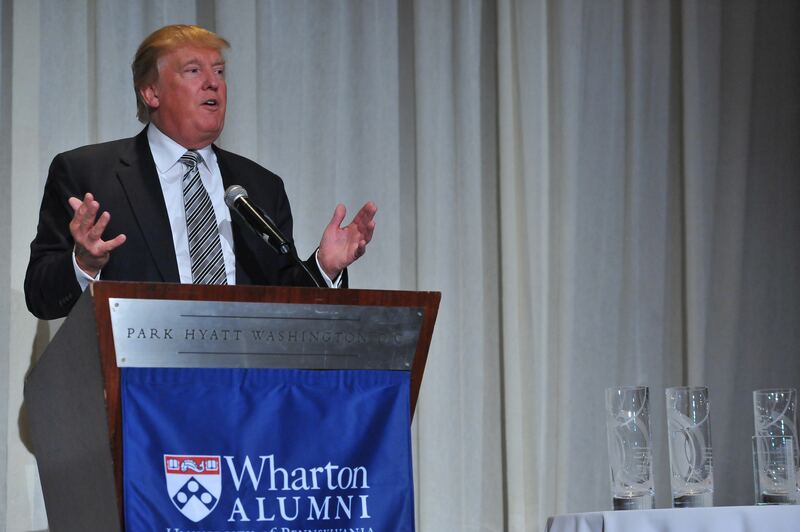 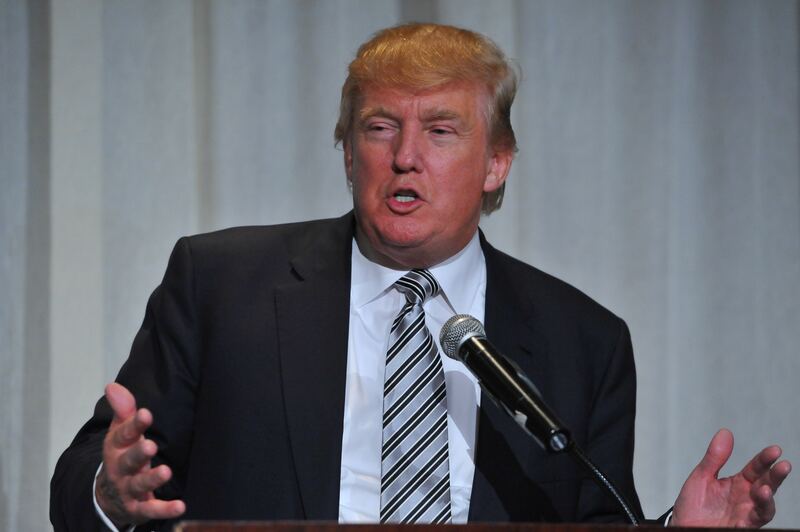 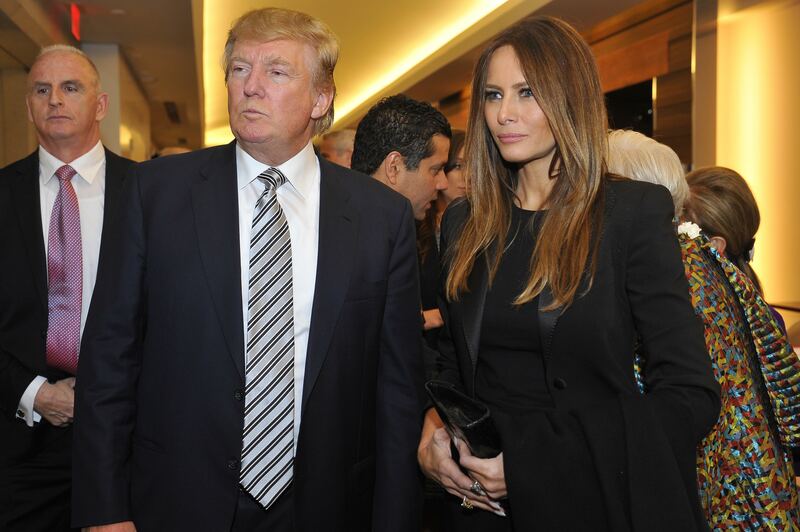 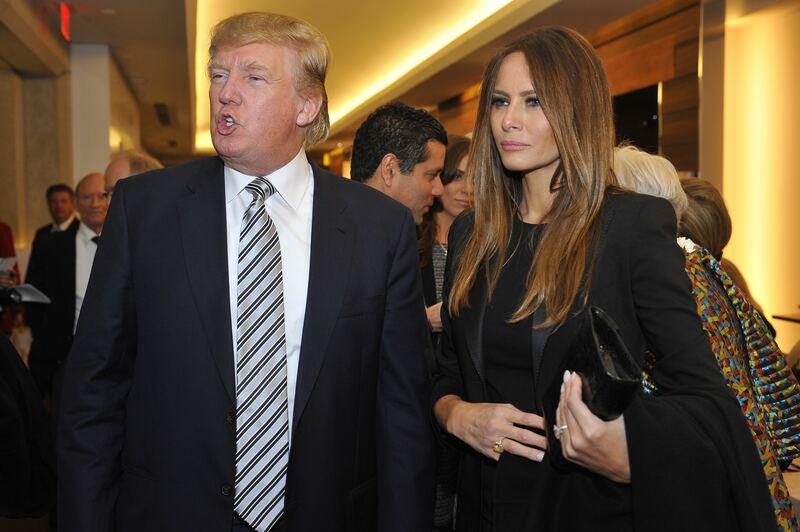 Donald Trump has been a longtime supporter and both he and daughter Ivanka are alumni. 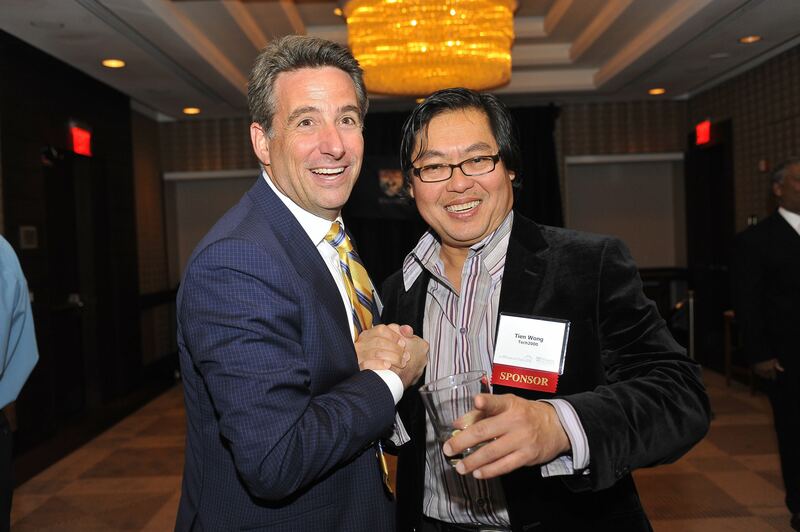 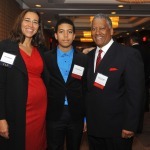 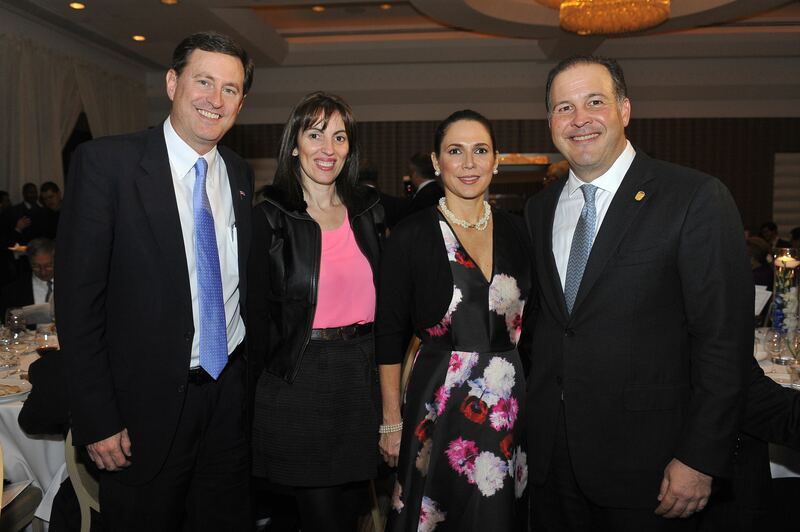 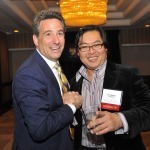 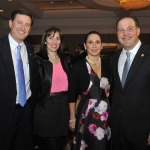 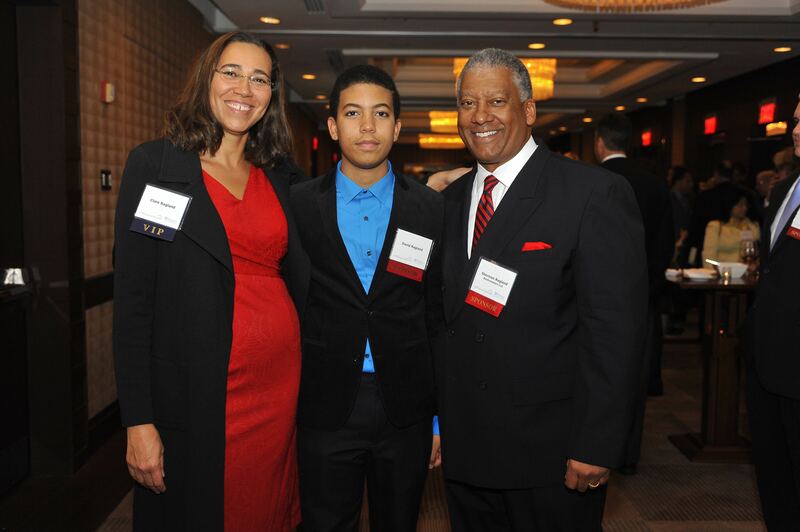 This annual dinner, held by the Wharton Club of Washington, DC, honors outstanding business, government, and professional leaders. 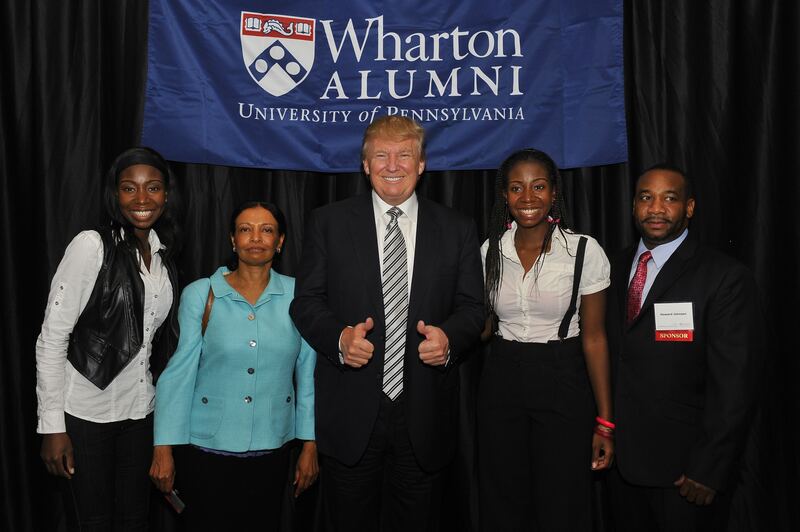 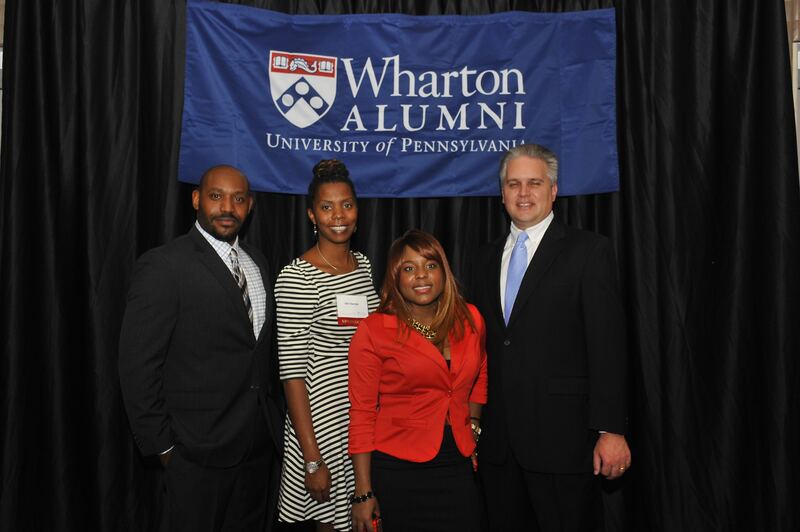 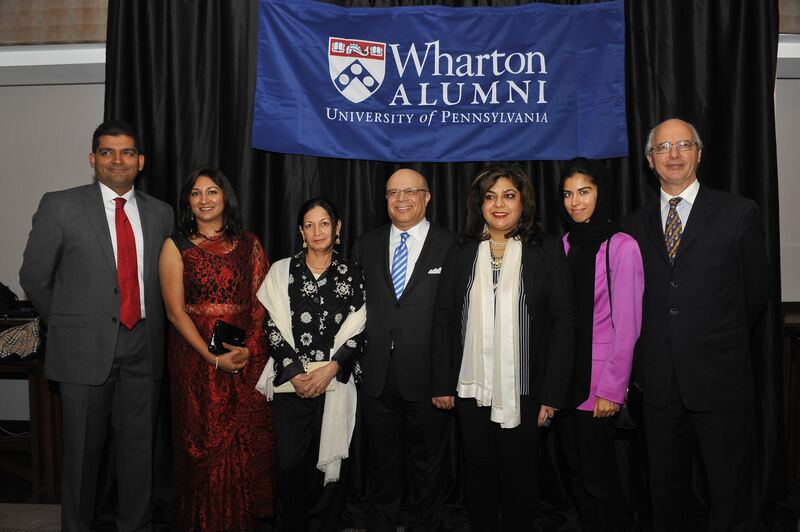 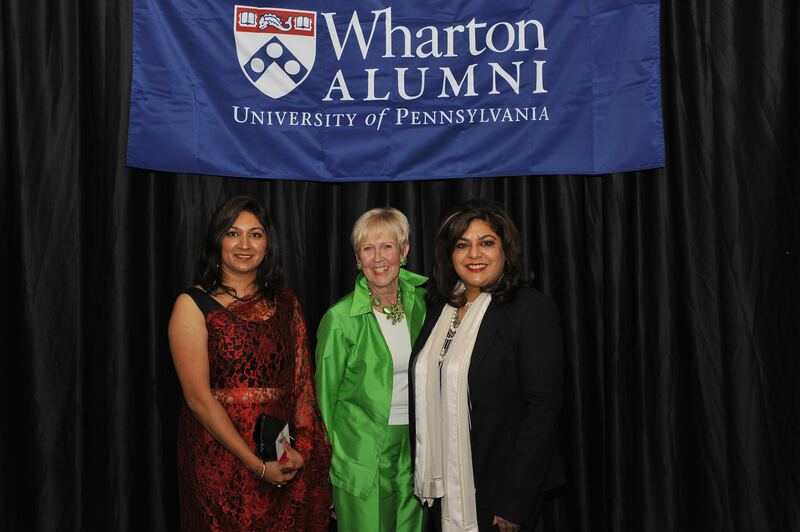 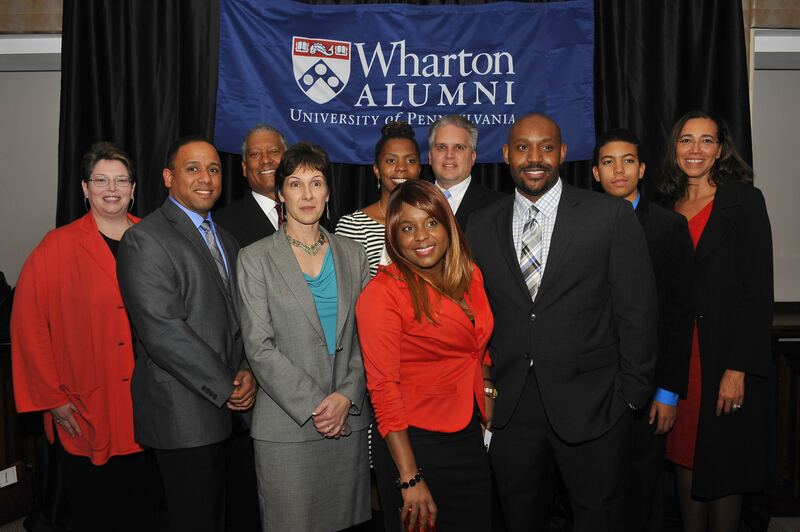 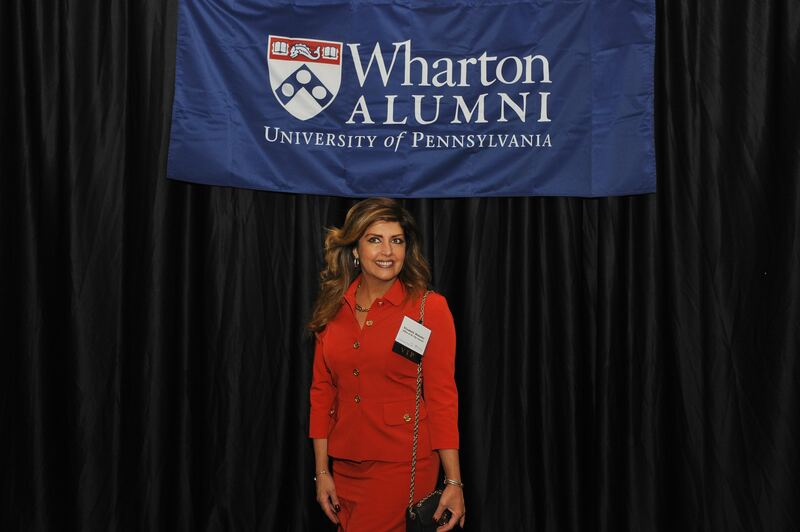 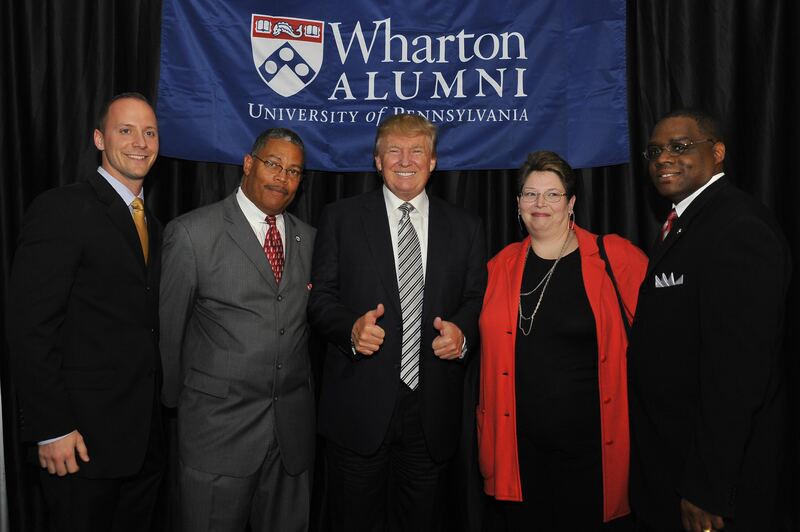 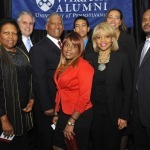 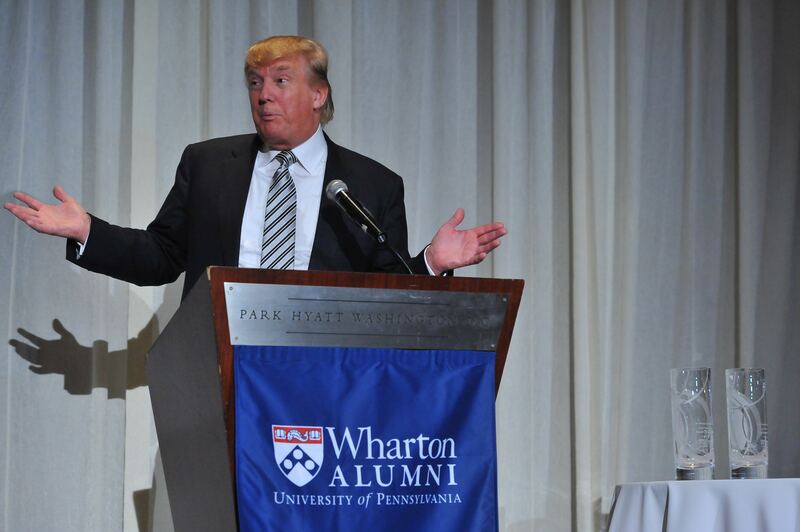 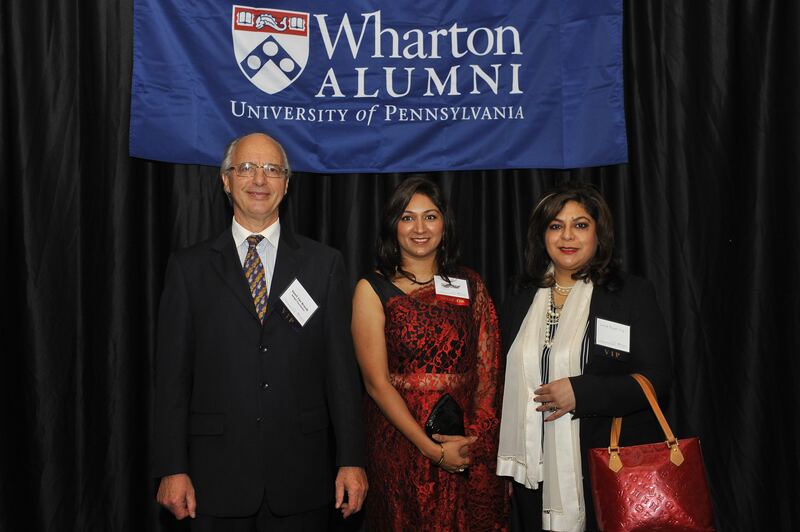 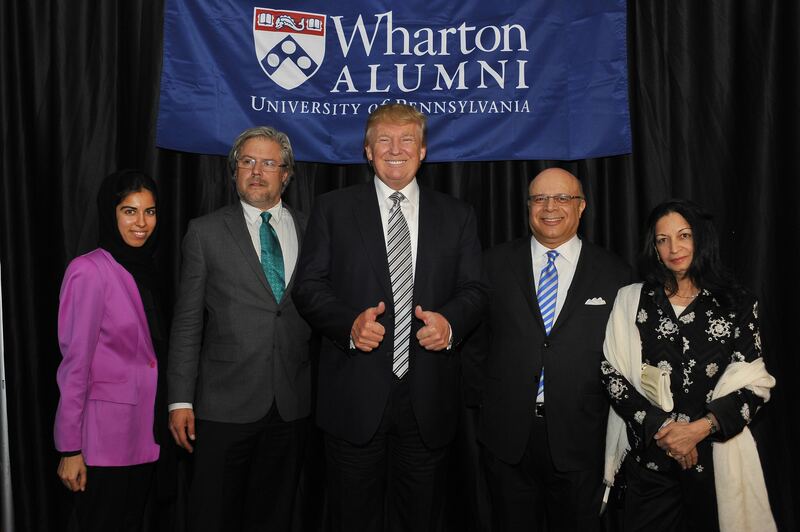 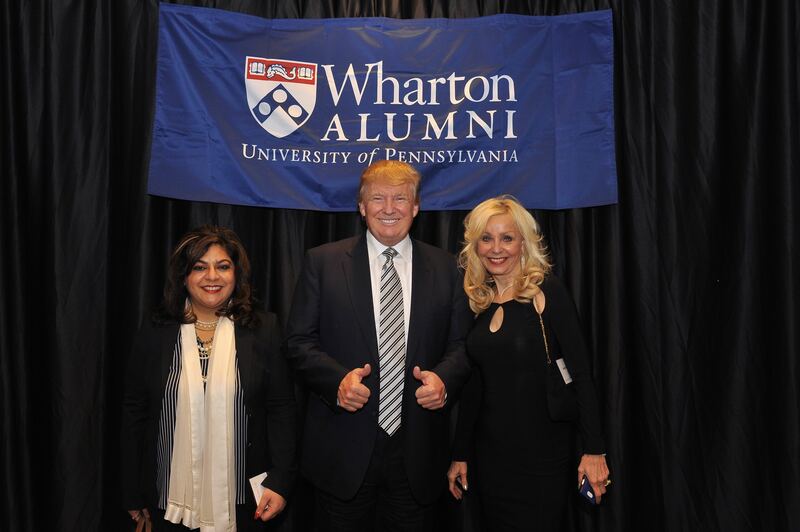 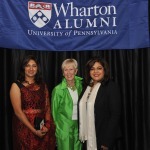 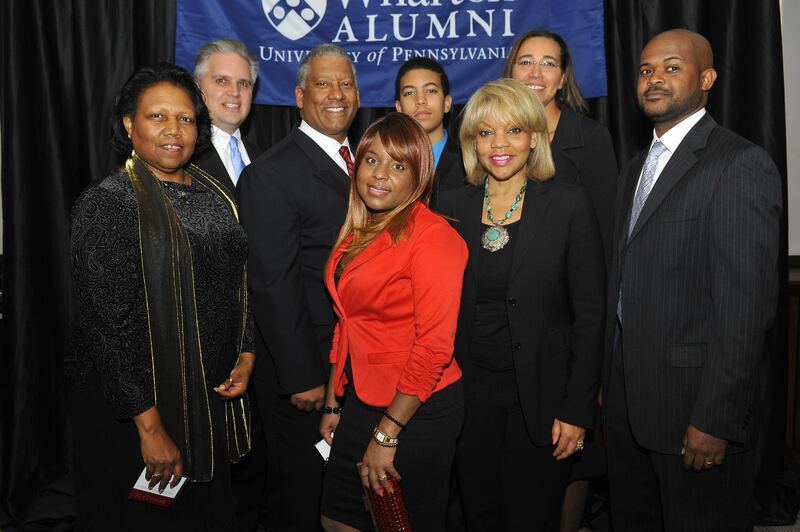 The Wharton Club includes those who have graduated from the school’s Graduate and Undergraduate Divisions. 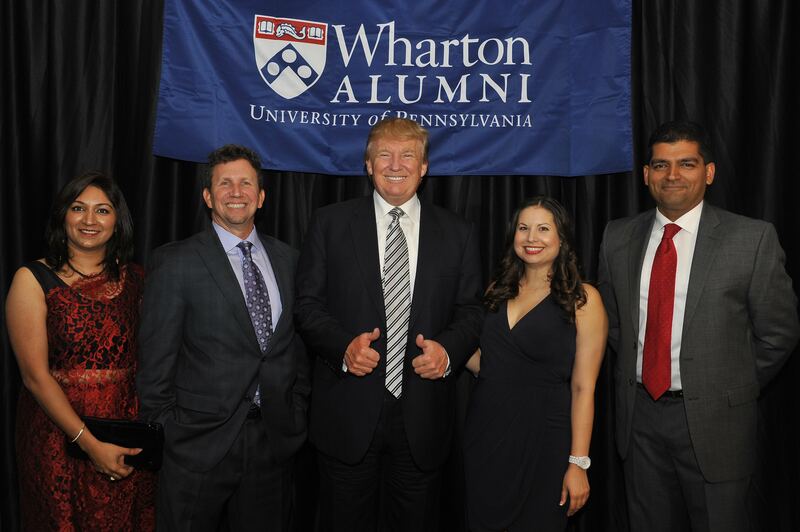 The DC Club is one of the largest and most active business school clubs in the United States with over 500 members in this area and drawing upon over 3,000 graduates located in the greater Washington area. 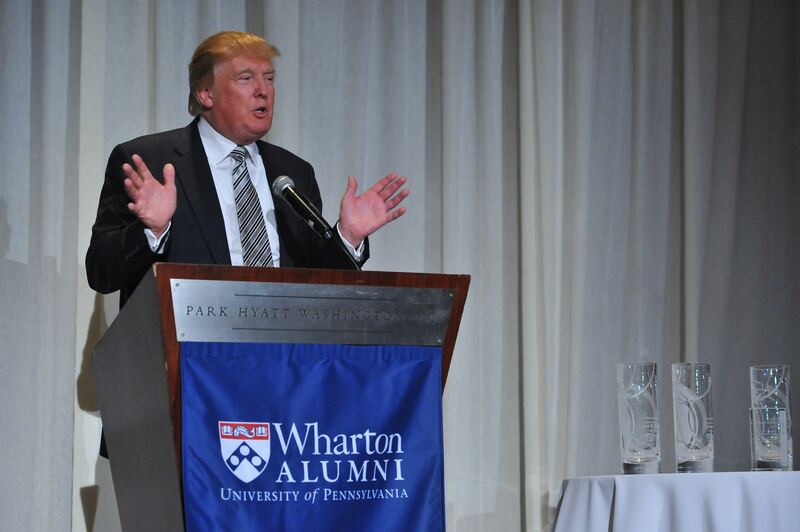 The audience was fascinated when The Donald divulged the backstory of bringing “The Apprentice” his wildly successful television show, into existence. 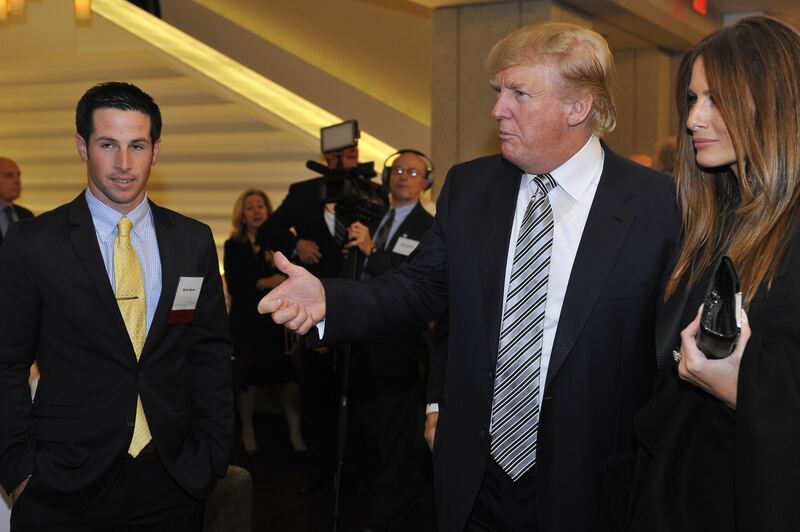 It seems that when he told his business advisor he was planning to produce a television show, and described it, the man was horrified. 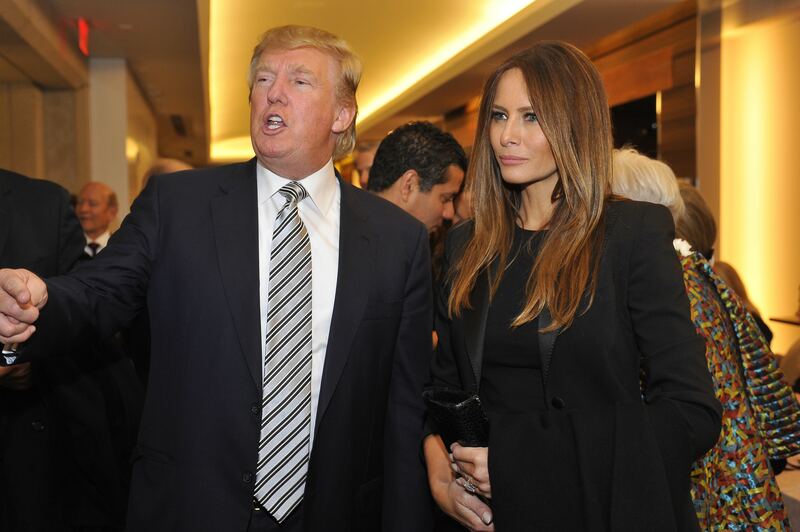 “It was clear to me,” said Trump, “if he’s so excited, the show was bringing in a lot of money’’. 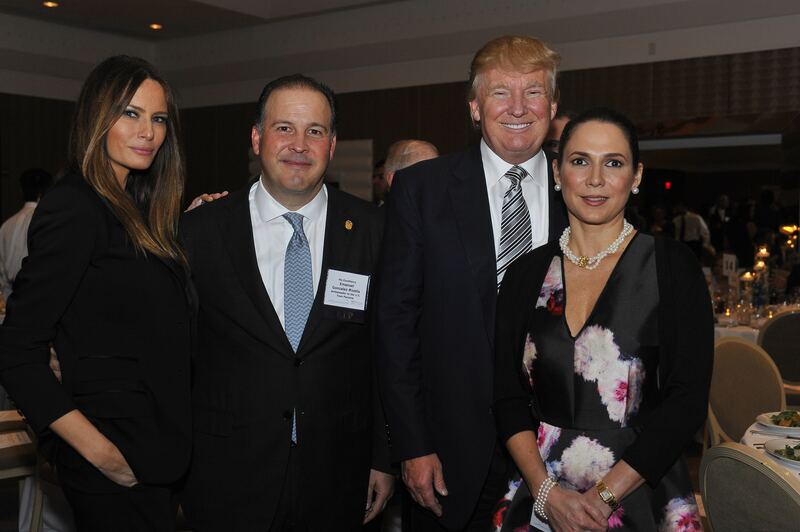 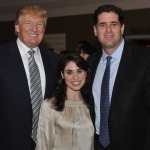 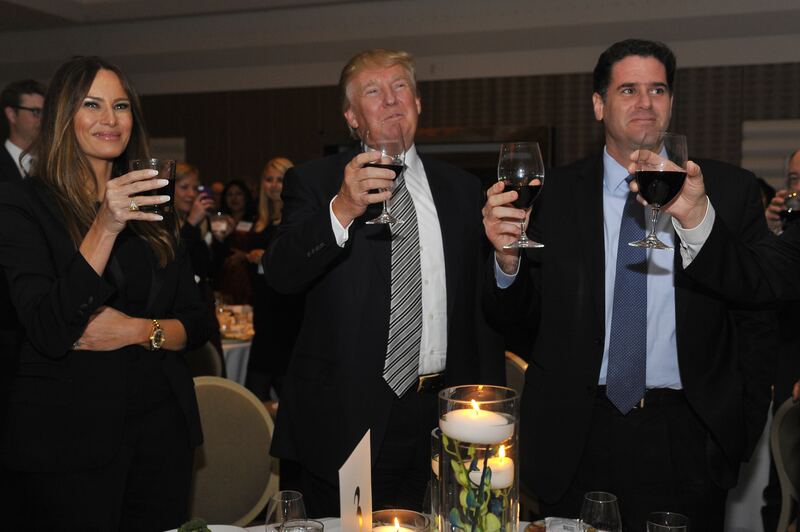 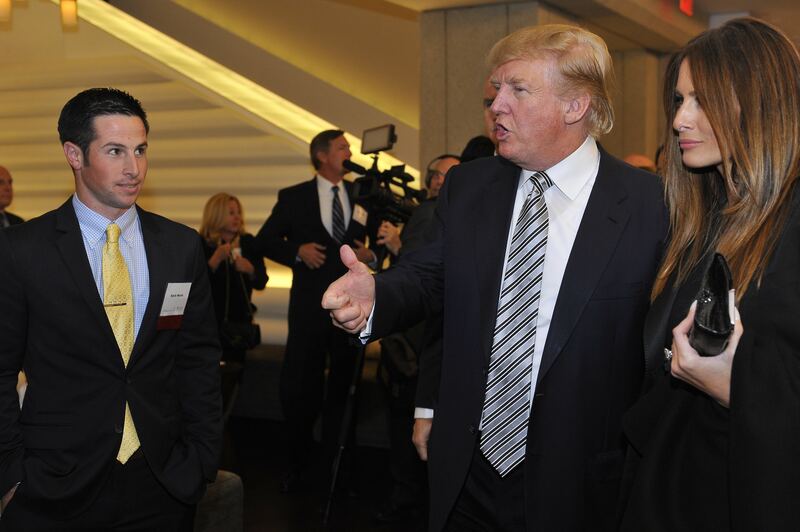 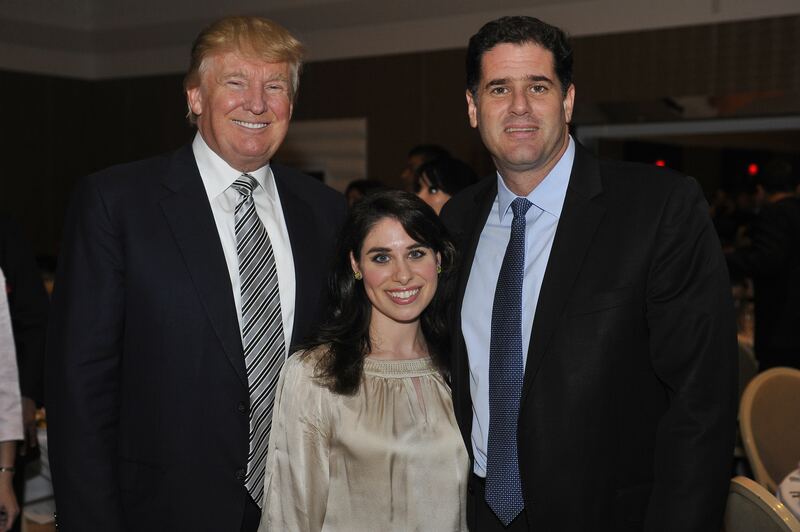 When Sclaifer introduced the last honoree, Israeli Ambassador Ron Dermer, he remarked “This evening started with The Donald. 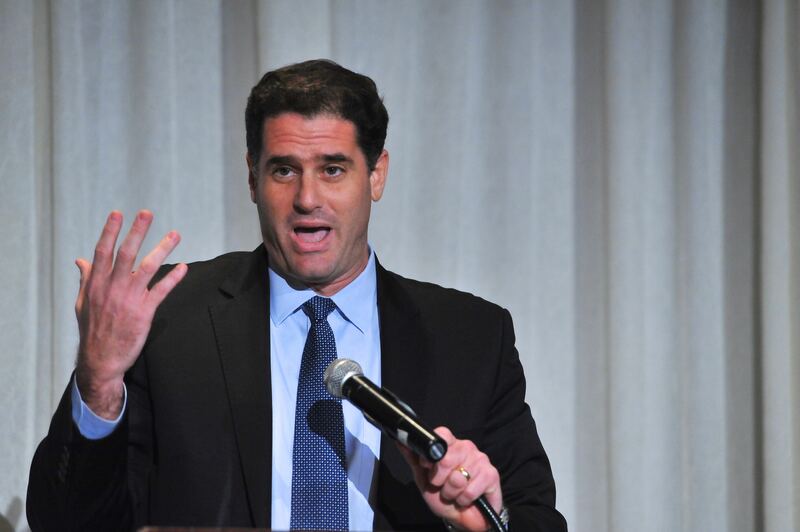 We’ll now hear from “The Ronald.” Although he was introduced as a former journalist, Israeli Ambassador Ron Dermer modestly said he was “only a columnist.” That of course raised the question, what type of column: Doric, Ionic, or Corinthian? 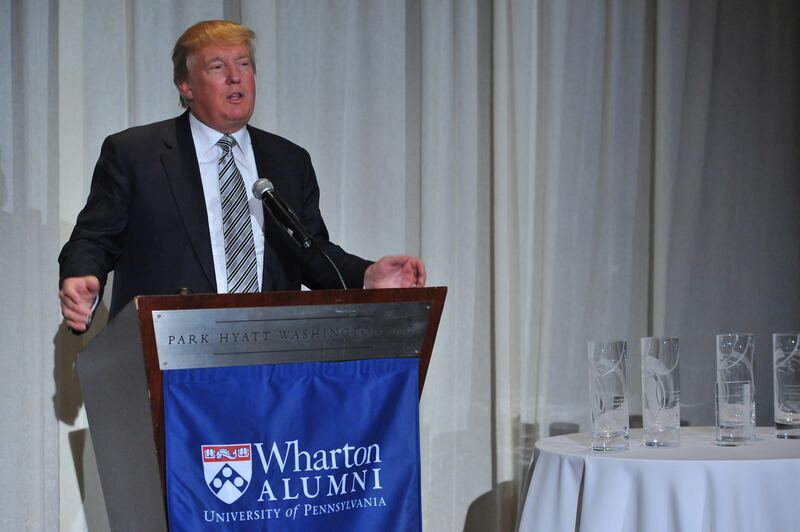 During his eloquent remarks as the final award recipient, the Ambassador referred to Donald Trump’s best-selling business book, The Art of the Deal, as a book he studied while at Wharton.